Among the nine single-digit numbers, the 1 holds a special place in numerology. 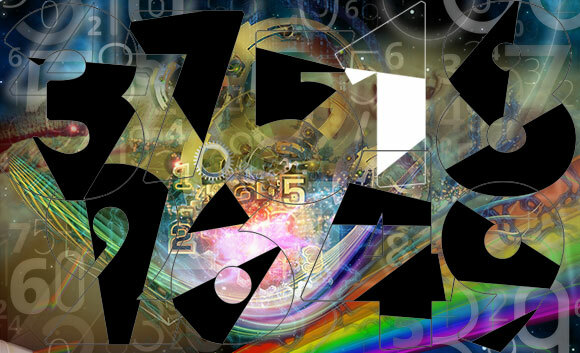 From a spiritual perspective, it is the number of creation - the primal force from which all other numbers spring forth. It is said that once you truly understand the place and function of this most primal of all numbers, enlightenment will be yours. This statement, of course, does not apply to a Numerologist's perspective alone, but perhaps it is a good place to start, as the personality of the number 1 aligns nicely with its more elevated spiritual symbolism. The 1 is a doer, a powerful force that produces results. It is aggressive, a necessary energy for creating, advancing, and not allowing anything to limit its potential. The 1 is the spearhead, always in the forefront directing and leading others. The shape of this number reflects its meaning. The 1 walks upright with pride and purpose: strong, determined, unwavering, with a specific goal in mind. The 1 is capable of turning ideas into reality. It pushes obstacles aside or simply drills right through them. The 1 tends to have a simple, straightforward view of life, heedless of its many complexities. It trusts its ability to separate right from wrong. It doesn't waste time on abstract ideas or follow paths that are not in line with its result oriented goals. The 1 is no preacher, no philosopher, spiritual explorer, nor dreamer - and certainly not an idealist. It is a pragmatist, ruthless conqueror, and warrior extraordinaire. The 1 is individualistic and independent to a fault. It will attempt to force its viewpoint on you, but has no desire to hear yours. The 1 can be confrontational, jealous and exceedingly stubborn, but also courageous and willing to try anything new (with promise) even at great risk. The 1 has a sense of honor and responsibility that demands our respect, and is the first to defend injustice and hypocrisy. Befriend a 1 and you have a friend for life. Fortunately, they have a great capacity for humor, often self-depreciating, so you can poke fun at your friend and not worry about hurt feelings. But don’t cater to a 1 to win love or friendship or you will lose its respect; stand up to a 1 and you may lose the fight, but you'll gain respect. Working for a 1, you will be pushed to the limit, abused at all hours, and incapable of living up to unreasonable expectations. But you will also, without a doubt, become the best you can be. If you are in trouble, you want a friend with a strong 1 on your side - there is not a more dedicated protector or braver partner. If the 1 is your enemy, you will be crushed without mercy. And be forewarned, the number 1 is the most difficult of all lovers: demanding, jealous, confrontational and impatient. If you have a 1in your core numbers, your happiness and sense of satisfaction will come from your work more than any other source.